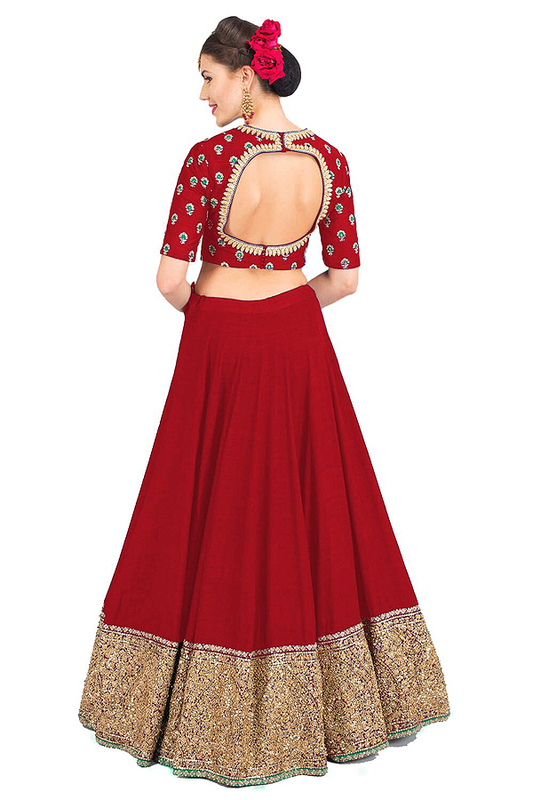 You have added Art Silk Lehenga With Zari & Sequins Work in Red to your Shopping Bag! Add red, the colour of passion to your ethnic wardrobe with this beautiful art silk designer lehenga. The lehenga features zari and sequins work broad border and a matching blouse with zari buttis. 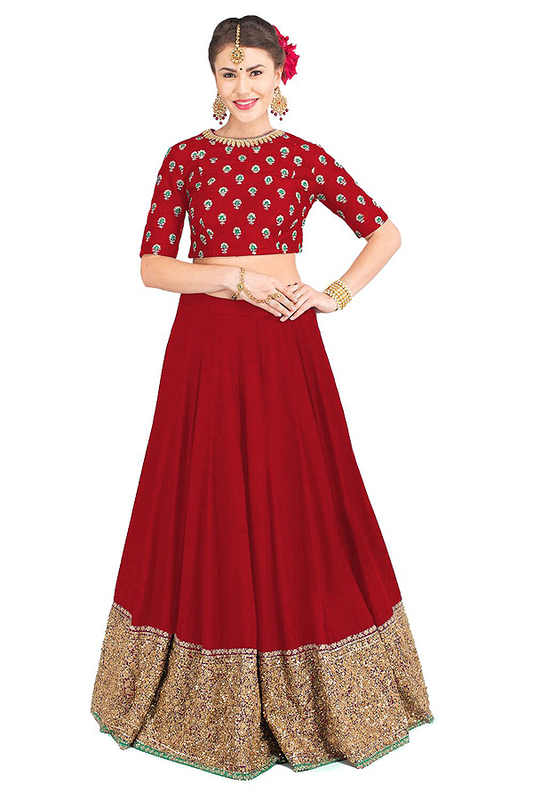 The striking lehenga choli is teamed with a red dupatta with zari, sequins and dori work and lace border. 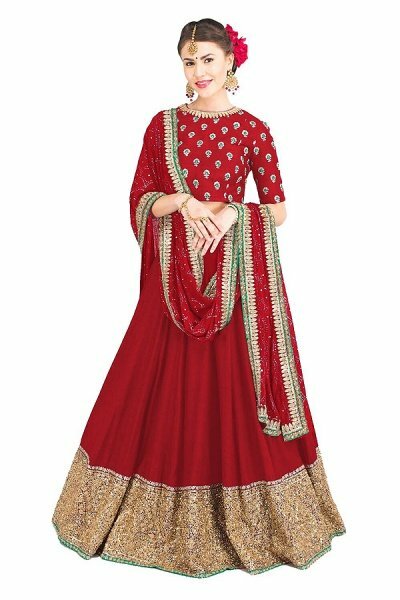 You can wear this lehenga at any wedding or family function.